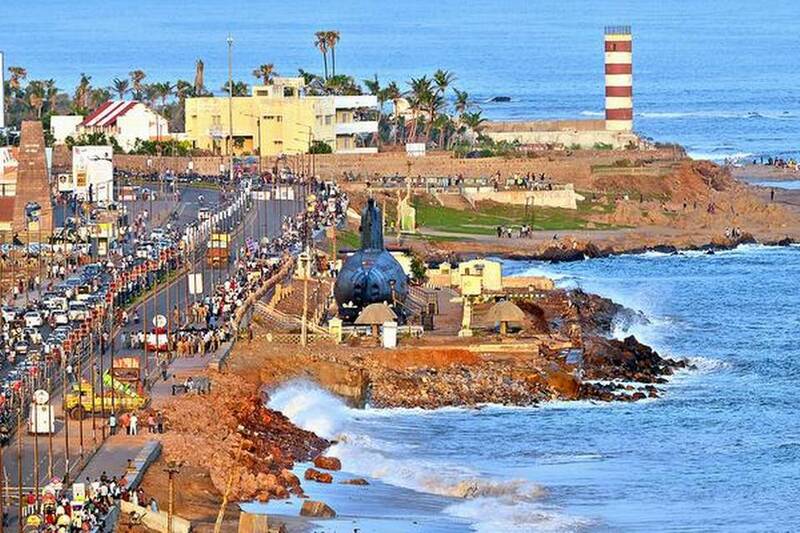 The Visakhapatnam Port Trust (VPT) has engaged the Dredging Corporation of India Limited (DCIL) to undertake nourishment of the eroded areas on the beach near INS Kursura Museum at a cost of ₹15 crore. “This year, eroded stretch will be nourished with 3 lakh cubic metres of sand. Erosion is occurring prominently due to establishment of Kursura Museum on the beach-front whereas the incidence is less comparatively on other stretches on the 30-km Beach Road between Visakhapatnam and Bheemunipatnam,” VPT Chairman M.T. Krishna Babu said. The breakwater formed near the fishing harbour by placing ship wreckage has been causing erosion to some extent. The construction of another port nearby is also stated to be one of the reasons for the erosion, a former scientist of National Institute of Oceanography pointed out. After the government formed a high-power committee to address the problem, Deltares, a Dutch-based independent agency, recommended discontinuation of nourishment through rainbow method and introduction of pipeline system to collect excess sand and fill the vulnerable areas with it and formation of geo-synthetic mesh and installation of underwater dykes. The VPT found that both options along with the suggestion to bring sand from other areas are expensive and pipeline method is more cost-effective.